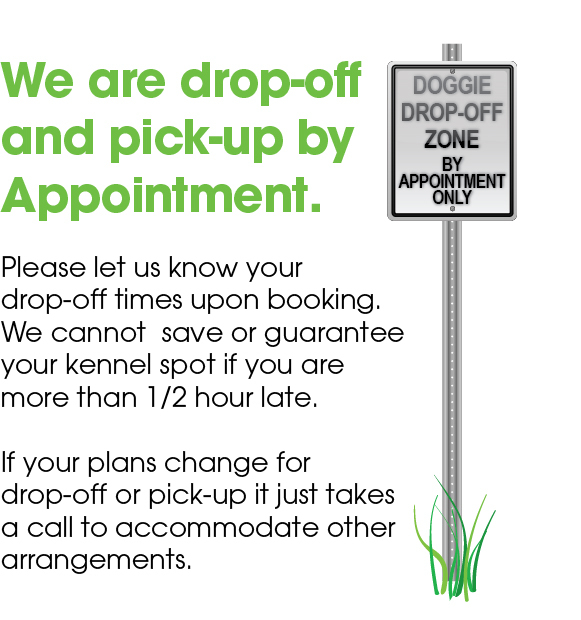 We will use best efforts to work with you and fill your spot from our wait list. Non- holiday – 48 hour notice needed. Holidays, Summer and busy season – With any amount of notice during the holidays, we reserve the right to charge with any cancellation. 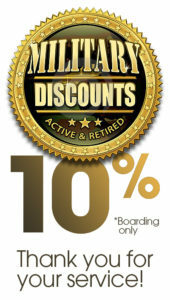 A 50% deposit is due upon booking for Holidays, Summer or busy season. 100% is due 30 days from booking. 3 Day Minimum – Deposits required. We are honored and thankful to have the opportunity to work with a variety of Rescue Groups. Great Dane Rescue, Akita Rescue, German Shepherd Rescue and most importantly to support service members when they are called to duty. Special discounts and services apply to all of these groups. Please ask for details. We are an OUTDOOR KENNEL which provides for immeasurable fun and free outside play time. However, inclement weather and outdoor pools (summer time) may cause the dogs to get very dirty. Although we would love to provide a clean dog, we cannot promise. You may be charged for a bath upon pickup.